System Alignment is a process of optimizing the response of a sound system so that it is the most useful that it can be for amplification of virtually any source. The greatest advances in sound system operation are from microphone sources as we can adjust for maximum intelligibility, gain before feedback, and the most even coverage at a venue. The limits are certainly the signal processing amplifiers, and speakers. It is not possible to make a sound system do something that it is not designed to do or that exceeds its operating parameters, but we can make what is contained within a system work the best it possibly can. Once complete a system can be much easier for any operator, especially novice engineers. Many individuals whether they are sound engineers or not, operating or listening to the system, would immediately notice the greatly improved tonal balance (Equalization) with fairly uncolored vocals that are very clear. We can also drive the overall tonal balance of a system to more suit the venue, for example, by reducing low frequency buildup (Boominess) that reduce the ability to understand words that are spoken or lyrics that are sung (Intelligibility) or by reducing harshness caused by too much upper midrange or high frequency energy being delivered (Horn Pattern Overlap). If available, we also try to apply some limiters for some additional system protection. All of this is limited by the available System signal processing, amplifiers, and speakers. 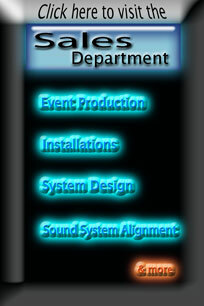 Our alignment process can make your Sound System much easier for all to use. For our system alignment services we utilize an industry standard measurement tool SMAARTLIVE as well as other proprietary and proven methods. SMAARTLIVE is Dual FFT software hardware measurement system which excels over other methods with its ability to provide consistent measurements and have a great deal of immunity from external noise or interference. 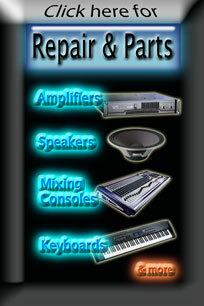 Call us for more information or a quote on getting your Sound System to deliver its very best, every time you use it. With the current status of the wireless spectrum available to us you need somebody on your side who can help. WE CAN!! 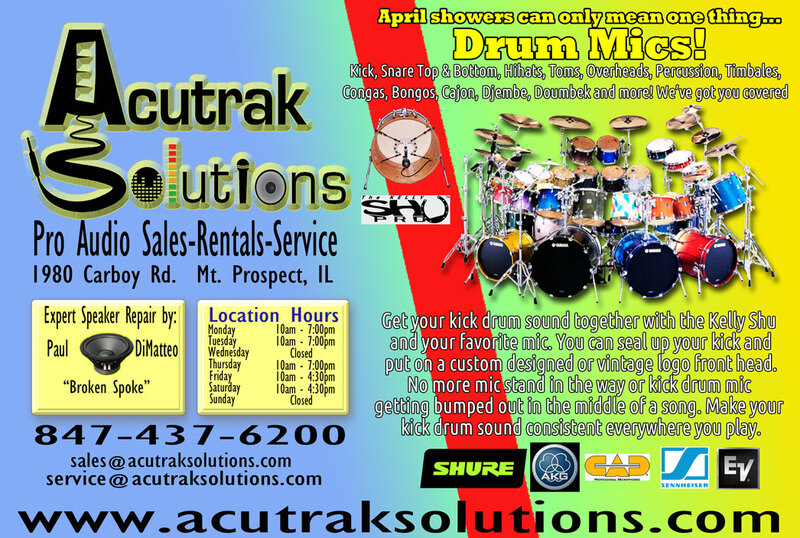 Acutrak can give you options that will keep the show going when the going gets tough. We can optimize your wireless microphone, in ear monitoring (IEM), and communication systems so that they are operating on the most compatible frequencies. All wireless systems are not created equal, as a matter of fact, you get exactly what you pay for. Limitations of wireless systems show up with problems from reception, interference from outside sources or the other wireless systems, as well as, how many total systems will reliably run together. Higher quality wireless usually excels in all of these categories but will almost always cost more. We can also fine tune our software for the Most Robust operation (fewest channels available), Normal operation (more channels available), or More Frequencies (maximum number of channels available). Your individual situation will dictate the direction we take. Using Shure's Wireless Workbench and Sennheiser's Wireless Systems Manager we can coordinate your wireless systems for the most stable operation. We can instruct the software to ignore problems from nearby Digital Television broadcasts or wireless systems being used in other parts of the venue as well. We can take an existing wireless coordination and leave those systems frequencies unchanged while implementing more. 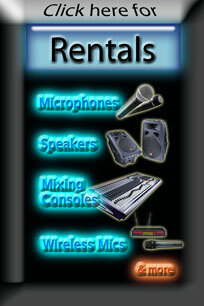 We always provide this service for FREE whether you rent wireless from us or buy additional systems. 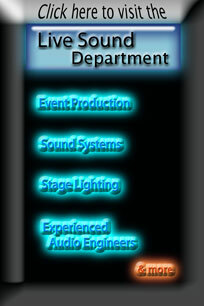 Many times we can run your Frequency Coordination while you are on the phone and identify problems.